Better than a UFC fight! Duke takes on UNC this weekend. Welcome back to Monday Musings! After a long layoff and per requests, I am rekindling the musings to start off each week. I will be sharing random thoughts on Duke athletics while bringing your attention to basketball and football happenings. You will find some informative tidbits each week from someone who has been around the athletic programs since candy bars were a nickel. Doesn't it sound weird to say that on September the 18th? In a rare scheduling anomaly, the Blue Devils and Tar Heels open their ACC season against one another. One thing for certain is that the stakes are plenty high in that there is a Victory Bell at stake. A season ago Duke pulled out a squeaker and they head over to Chapel Hill as an early 2.5 favorite. Do you think the Tar Heel Nation will be pumped up with revenge in mind? They certainly will be and pumped up to no end. A win would turn their season completely around and Duke will get their best shot. To be fair, the Duke football team had a lot of key future prospects visiting this past weekend and everybody knows David Cutcliffe is having mad success on that front. But the basketball team entertained the top ranked player in the nation in Canadian born R.J. Barrett. The sleek scoring machine led the Caucks to Gold over Team USA. He is a legit talent who was able to tour the Duke campus, practice with the current team and talk with the staff which includes Mike Krzyzewski. 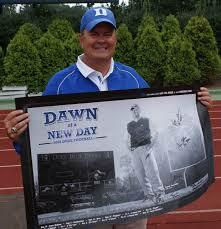 I took this picture of Cut holding a "Dawn of a New Day" poster during his first season at Duke. I have been around Duke Coach David Cutcliffe from his introduction to now. I can tell you that he keeps some footballs in his office from big time wins. I remember the first one he put up with a win over James Madison which was his first win in Durham to the teams first win over UNC in many years. He has brought the program from a laughing-stock to the respected group they are today. This Saturday, Cutcliffe will seek his 100th win as a coach versus the Blue Devils visit arch rival North Carolina in Chapel Hill. A win would certainly be special in more ways than one for the coach who likely wishes he would not field too many questions about this until after it happens. Forget that. The media will wake up to this possible feat and you will hear about it starting Tuesday during the weekly press conference. Do you think the Tar Heels when hearing about this will want it to happen on their watch? No. But if this doesn't pump up #DukeGang and give the team incentive, then nothing will. Like I said above, there is plenty at stake in this rivalry game this weekend. 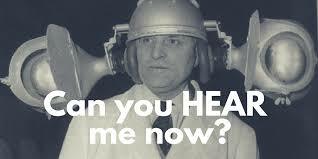 If you cannot hear the buzz around the Duke Basketball program, then you need to visit an Audiologist. Hey, I should know in that my hearing has been lost for last month in my right ear of late. Okay, back to the subject. Firstly, Duke Basketball is going to be good this year. And they are going to be good next year and have always been good under Mike Krzyzewski. Okay, not good but great. Duke will be young this season, but they will also be crazy talented. They may well have the best front court in program history with newly acquired Marvin Bagley III joining Wendell Carter Jr., veterans Marques Bolden, Antonio Vrankovic and Javin DeLaurier. For the life of me, I have no idea how they will ever get a rebound! As for my ear, the hearing is coming back after some good old antibiotics in what turned out to be a viral infection. But despite the issue, I could still not only hear, but see the warranted hype. I am one of those people who likes to analyze things in advance. Yes, one of those scribbling on a pad about what is to come. When looking at the Duke basketball schedule I have already labeled the trip to Miami as the trap game of the season. Firstly, Miami is going to be good. But the Blue Devils travel far south after one days rest where they will leave the cool weather in Durham behind for the body shock temperatures of Coral Gables on a Monday night in January. 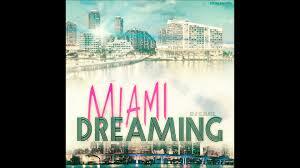 Wait, I am not finished talking of Miami! The football team faces a challenge as well. They will take on Miami in Wallace Wade Stadium in a Friday night game after playing their rival North Carolina this week. That is just five days to put a game with your arch rival behind you and be ready to play. To make matters worse, the football staff will have just two games of tape to scout this years Canes team in that they had contests cancelled due to the recent Hurricane. Did I mention this game will be televised on ESPN and kickoff is at 7:00? So, you will have a chance to come out to Brooks Field to cheer the Blue Devils on while having all day Saturday to recover. So, get off thine hind end and be there to support the team against a highly ranked team!